Figure 4-9. Clutch brakeshoes, removal and installation. (2) Disconnect hydraulic hose at coupling nut. in numerical sequence. Assemble in reverse order. excessively worn, or defective lining. brakeshoes when lining is defective. scored or damaged friction surface. and flatwashers from back plate. 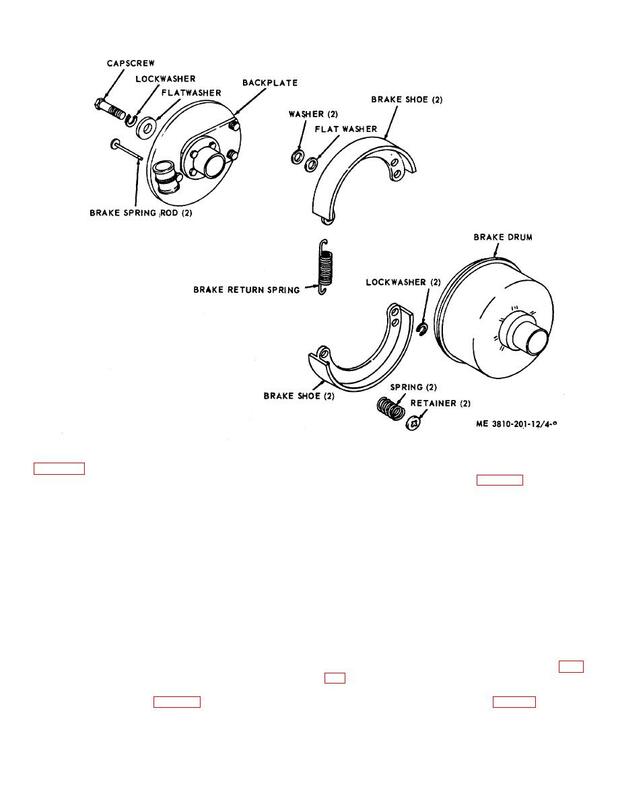 damaged or defective brake drum. seals, springs or retainers for defects. for leakage, or lack of freedom in movement of piston.